In honor of St. Patrick's Day, this week's color of choice in our Spring Color Pop series is gorgeous green. A fine representation of spring, this color looks fresh and vibrant. 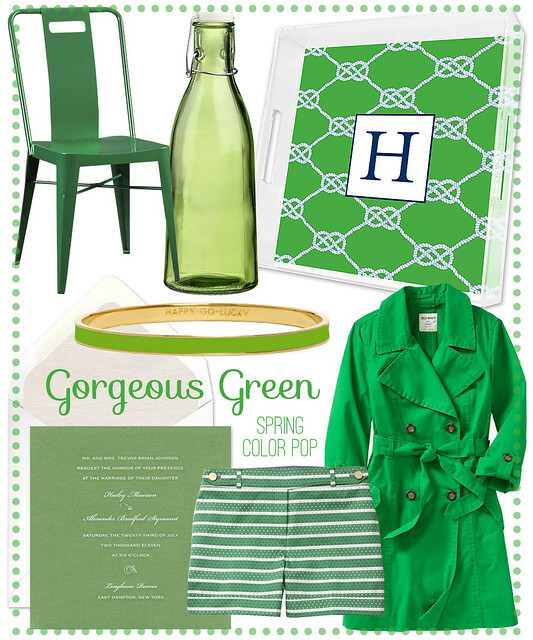 Look to green to add pops of color in your wardrobe and in your home this season. Green also makes an amazing color for spring and summer weddings -- think fresh flowers and garden ceremonies!